History is replete with episodes of religious zeal leading to violent mass slaughter. Consider all of the religious wars that have punctuated history from ancient times through the present. Consider the auto-da-fe’s of the Holy Inquisition. Consider the mass extermination of Jews during the Holocaust. Consider the numerous episodes of Islamic terror including the recent shooting by the Taliban of 14 year old Malala Yousafzai in Pakistan because she dared to publicly advocate for girls to be educated (fortunately Malala survived the attack). Consider the bombing of abortion clinics by anti-abortion Christian zealots. Religion inspired violence creates headlines and shocks many around the world. However, religion can also kill quietly. Consider the history of the Catholic Church's campaign against the use of condoms in Africa which contributed to the deaths of millions from AIDS in that continent. Sometimes one incident involving one individual can influence people’s thinking more than the deaths of unrecognized millions. Such an incident came to light last week. The incident occurred not in the third world but in a modern hospital in a supposedly civilized country in Western Europe. Savita Halappanavar, a 31 year old married dentist originally from India, presented to University Hospital in Galway, Ireland. She was 17 weeks pregnant and had begun to experience back pain. Doctors on Sunday, October 21 determined that she was miscarrying. Savita Halappanavar was in excruciating pain and said since the fetus could not be saved she wanted to have an abortion performed to protect her life. Physicians told Savita and her husband that Ireland was a Catholic country and so long as there was a fetal heart beat there was nothing that they could do. The couple protested to no avail that they were not Catholic, they were Hindu. The couple requested multiple times to have an abortion performed and were refused each time. Savita Halappanavar continued in agonizing pain through Wednesday when the fetal heart beat finally stopped. However, because of the delay in evacuating her uterine contents she became septic and finally died on Sunday October 28. Ireland actually does allow abortion to save the life of the mother. However, it is rarely clear in advance whether or not the mother would definitely die if an abortion is not performed. Physicians would be clearly at legal risk if they performed the abortion because a prosecutor could claim that they could not prove that the mother would have died if they had not performed the abortion. However, in this case it is absolutely clear that if Savita Halappanavar had had the appropriate medical procedure - the evacuation of her uterine contents - performed when she first requested it, she would be alive and well today and likely looking forward to her next pregnancy. Catholic doctrine inscribed into Irish law killed her. This tragic episode clearly illustrates that when abortion is banned, an exclusion for saving the life of the mother may mean little in practice. Doctors are not Biblical prophets who can tell with certainty whether failure to perform an abortion will cost the mother her life (not that Biblical prophets in reality would have had any power to do so either). Delay in performing an abortion may or may not result in septicemia. In this case it did, and the mother died. The larger point is that a fundamental civil right is the right of an individual to control his/her own organs. Even if one subscribes to the dubious proposition that a fetus should have the same rights as the mother, we as a society do not empower government to seize control of a person’s organs for the benefit of another individual. Who advocates for a governmental right to forcibly remove a kidney, a liver lobe, or bone marrow from one person in order to benefit another individual? 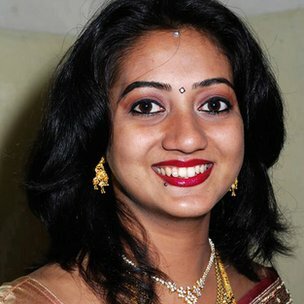 Savita Halappanavar’s civil right, her human right, was to determine whether she wanted to continue the pregnancy or not. Had the state not prevented her from exercising her civil right to control her own body, she would be alive today and looking forward to having children in the future. Ireland's legal embodiment of Catholic doctrine surely killed her in a university hospital in Galway. Here in the United States, Republican dominated legislatures in more than half of the states have enacted restrictions on abortion. These legislatures have realized that they can eviscerate the right to abortion enunciated in the US Supreme Court’s Roe v. Wade decision by enacting a wide variety of restrictions on abortion ranging from spurious requirements for abortion clinics that put them out of business financially, to imposing medically not indicated procedures such as transvaginal ultrasound prior to abortion, to requirements for providing false counseling and mandated delays prior to abortion. Some states impose criminal penalties on physicians for not adhering to all state requirements. While many of these laws might ultimately be ruled unconstitutional, in the mean time they serve to intimidate providers of abortion and eliminate the availability of abortion services. At this moment, the Ohio legislature is considering a fetal heart beat bill which would ban abortion while there is a fetal heart beat. Just like Ireland. If a woman is opposed to abortion, then she is free to refuse to have an abortion even if it is medically indicated. But no one should be able to impose his/her religious doctrine on others. The right to abortion is a civil right. Abrogation of this civil right can and does kill. "Thou shalt not kill." If you do not like your neighbor, can you kill him? It is a religious doctrine that is saying you cannot. Do you reject this religious doctrine? Is your neighbor imposing his religious doctrine on you by not wanting to be killed? A human in the womb is his own being. It is not the mother deciding to cut off her own arm, so to speak, but deciding to end the life of another person. Murder, killing, abortion - call it whatever you want, but the mother and the abortionist are ending the life of another person. so a women who becomes pregnant by any means has no choice even if its her own life or death? And the religious people are still saying tha all thatwas done because "Thou shalt not kill." Well, if your religion is so non-violent then what was the first crusade launched for. Also, the life to a foetus is not given by the God(there is not an iota of roof demonstrating god's existence), but by he nourishment provided the mother. So yes, she has the right to abort the baby if her life is in danger. The information in this article/blog about Catholic teaching is incorrect, although I don't know if the facts are correct about Irish law. Catholic theology would have allowed an operation to save the life of the mother--based on the principle of double effect. So a medical procedure aimed at saving the life of the mother--but not aimed at killing the baby directly--would have been permissible if such a procedure was available. This article doesn't make clear that it wasn't. The story shared is truly a sad one; no one should have to sacrifice her life for the sake of a dying fetus. If your facts are correct, the error was committed by the physician who was unaware of (or chose to ignore)the laws that govern his practice. Religion itself does not kill; rather, individuals who misinterpret or misuse Biblical truth or who blindly follow those who misuse it are the killers. This article's conclusion is fallacious in that it displaces blame. Unfortunately, many so-called believers do not practice in word or deed what they profess to believe. Some have commented on this article.